Following the deaths of two children, the U.S. Consumer Product Safety Commission announced in August 2014 that it would recall 2.2 million Ace Bayou bean bag chairs. After nearly 17 months, just 790 customers have responded to the recall, leading the safety commission and manufacturer to re-recall the product. The CPSC announced Thursday that it would re-announce the recall of 2.2 million bean bag chairs sold from 1995 to 2013 due to a low rate of consumer response. The original bean bag recall was initiated after two children opened them, crawled inside and tragically suffocated to death. In another incident a six-year-old boy opened the bean bag and reportedly swallowed some of the foam beads and had others in his nose and mouth. Affected chairs include both round or L-shaped, vinyl or fabric, and are filled with polystyrene foam beads. The chairs were sold in a variety of colors, including purple, violet, blue, red, pink, yellow, Kelly green, black, port, navy, lime, royal blue, turquoise, tangerine, and multi-color. 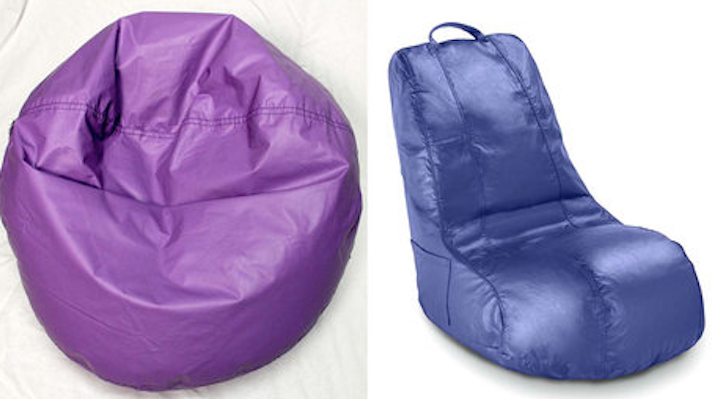 Round bean bag chairs were sold in three sizes, 30, 32, and 40 inches in diameter, while L-shaped bean bag chairs measure 18 inches wide by 30 inches deep by 30 inches high. “ACE BAYOU CORP” is printed on a tag sewn into the bean bag chair’s cover seam. The chairs, which retailed for between $30 and $100, were sold at Bon-Ton, Meijer, Pamida, School Specialty, Wayfair, Walmart, and Amazon.com before July 2013. Owners should check the outside zipper on their bean bag chair to ensure that it has a metal staple to disable the outer zipper. If it does not have a metal staple, take the recalled bean bag chair away from children immediately and contact Ace Bayou for the free repair kit to permanently disable the zipper.